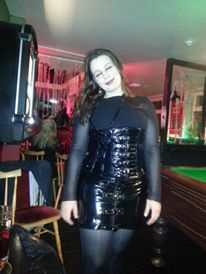 I know this is a late post considering Halloween took place last Saturday. I feel as though time is escaping me and the weeks are merging into one another like the colours of an Impressionist painting. 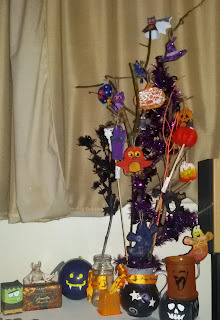 Back to the Halloween post, last time I posted was the completion of my Halloween tree due to a bout of insomnia, by the time I got back to sleep and woke up it was midday, I felt begrudge as most of the day had vanished. My original intentions for Halloween was to participate with a friend, in the Record break attempt of the largest gathering of witches held at Alnwick Gardens. But my friend never mentioned anything else and nobody else seemed interested. 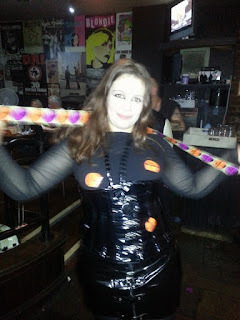 When I discovered through Facebook the library, I used to volunteer at, organised a Halloween party I decided to pop along to show my support. Alnwick Gardens is a Fairytale theme section of an array of plants most famous are poisonous gardens that contain a variety of plants. The Gardens are attached to Alnwick Castle is most famous for appearing in the first two Harry Potter movies. In the afternoon, I went along to Sunderland Road Library, it turned more of Children of a party, but the volunteer who organised the party appeared to be happy with the extra help. The turned out was fantastic with at least twenty children dressed in various costumes. 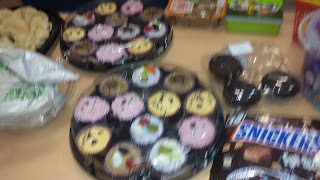 A great looking buffet, my favourite were the monster cakes, sorry for the rubbish photos. Before I knew it, I was wondering around trying to organise while the organiser did a fantastic job entertaining the kids with a variety party games. The organiser offered for me to entertain kids, but I declined because I felt unconfident to do it, so I volunteered to the background work. A lot of the time I found myself on my hands and knees fetching and gathering things. The kids were all jumping and gyrating around with energy all of them were still well behaved and enjoyed the festivities. 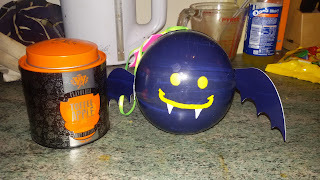 My favourite thing was the creativity the organiser put into it, she made sweet bags and called them a buggy bags and pumpkin dance on the spot where she used round orange bathroom mats for pumpkins. In the picture below, is me stuffing my garb (mouth) with buffet food, no surprise, if there is food on the go I can't help myself. After clearing up, it was 5 pm, I headed back to the boyfriends with a couple of monster cupcakes. 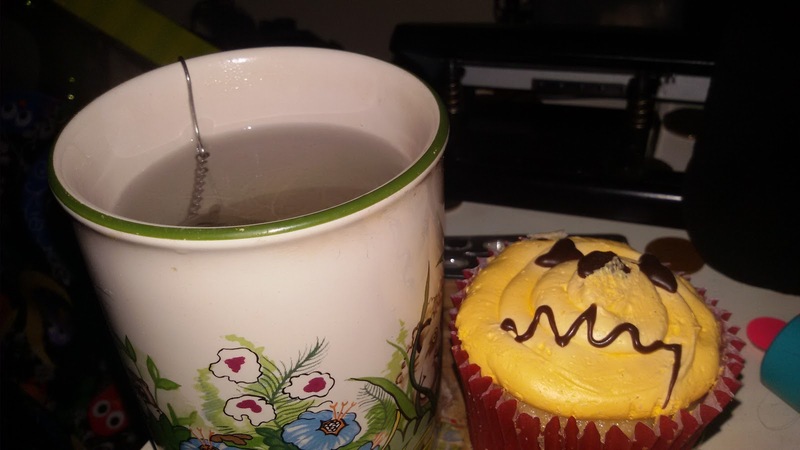 I treated myself to a cake and a some Halloween tea. The Halloween tea is a toffee apple blend; that has an incredibly sweet aroma that is almost slightly acrid, but in a small quantity is delicious to drink. It came in an El Día de Los Muertos tea caddie. So after a well-deserved rest the boyfriend and were debating whether to go out or stay in, eventually, we chose to go out. 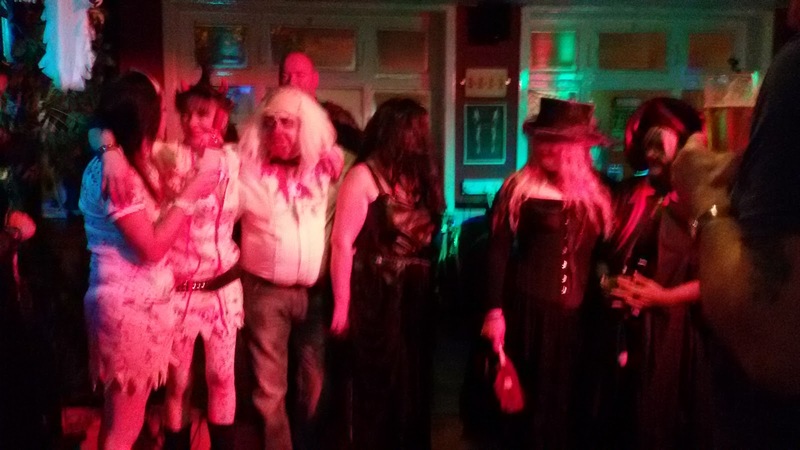 We headed to Trillians, Newcastle's local rock bar, we were hoping to have a few quiet drinks, we arrived with our hopes were dashed, as the place was packed with patrons, I guess that I should have been expected, as Halloween is always a busy holiday. We had a drink and decided to go over to the Black Bull, personally, I think is Gateshead's best pub. The Black Bull is owned by Shaz and Maz, two punks who've never grown out of it. They offer some of the friendliest customer services and make you feel like your long lost friends whether it's your first time or a regular. We entered just as the band were finishing and the Halloween costume contest began with everybody standing up and waiting for votes. Everybody got a prize for participating and the host with his usual banter charm awarding the prizes. We stayed for a couple of hours drinking, playing a game of pool the boyfriend beat me like always, despite being blind in one eye, he's a master at the game and well, my skills are barely developed. 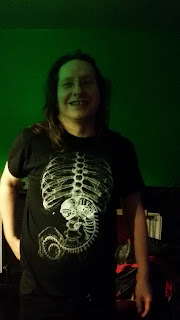 The jukebox kept us entertained with music; I even had a go choosing a random selection of Patty Smith Tonight the night for lovers, Bauhaus's original version of Bela Lugosi's dead and Blue Oyster Cult's Don't feel the Reaper. Throughout the night, I kept annoying the Boyfriend by singing Bob Marley's Buffalo Soldier in the heart of America, as previously I heard the song during the evening. I'm smiling to hear Bob Marley's Buffalo Soldier finally; it was driving me mad to hear the full song. I also selected it. 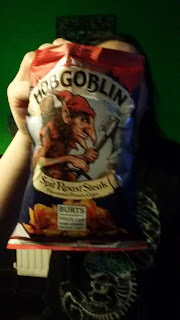 I started to get peckish craving crisps and surprisingly it was a pack of Hobb Goblins, mainly famous for their ales, I was impressed, but I'm easily impressed, haha. After a great night at the Black Bull, we headed back to Trillians for another drink as we thought Trill's would be less busy, wrong. The alcohol in our bloodstream at this point helped us to make the best of the situation by sticking Halloween stickers on each other; we got from the bar staff; I even started dancing with them. 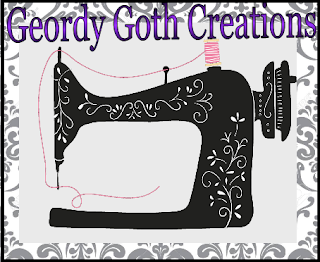 Lovely clothes! Sounds like you were helpful at the kids party and as long as there was nice food, it sounds ok to me, ha ha! I am always eating the food at the party too! Sounds like you chose some good songs! 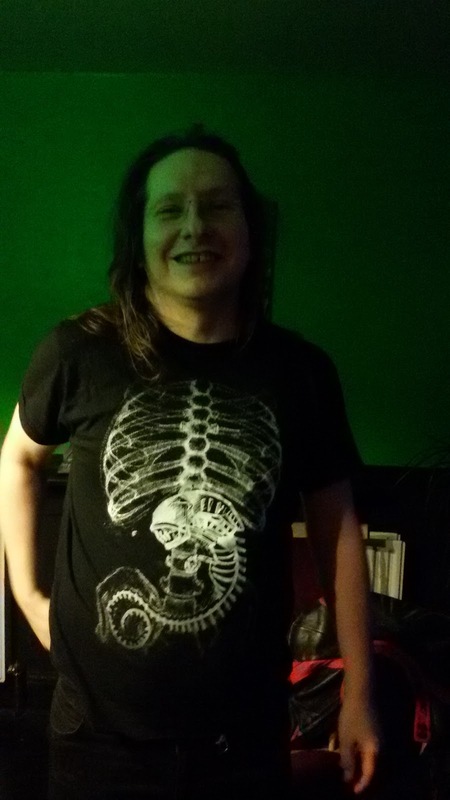 Hi, thanks for your kind comments about my outfits it's rare I dress up nowaday;most of stuff is from charity shops, I love thrifting it lol. It's quite serial to be working with kids as I am not the most tolerant person with kids, but it was fun seeing the kid dress up and enjoy themselves. The organizer was so grateful for the assistance, love to show my support for the library. I love eating whether there is a party or not lol, especially, cake. Sounds like a fun evening, Sarah! 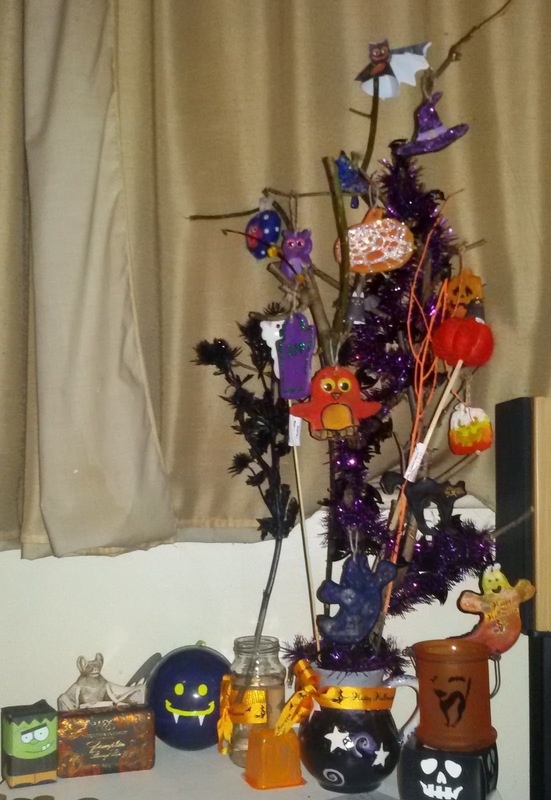 It's nice we're still reading about peoples' Hallowe'en festivities this far into November. You look absolutely stunning in your night outfit! Thanks that's so kinds, I am glad it's entaining people , I thought it was a bit wrong writing it a week later, but I guess it's keeping the Halloween spirt alive.